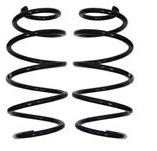 Front Coil Springs. Sold as a pair!! !